Here’s what I learned about Weeksville today, January 28, 2018. A descendant of Richard S. Ray contacted me via Ancestry. She’s organizing a reunion of Ray’s descendants in honor of the 175th anniversary of the Bethel AME Church in Morristown, New Jersey. Richard Ray was one of the church’s founding members. I knew several Weeksville families had come to Long Island from New Jersey, among them the DeGrant family (of Long Branch) and the Brock family (of Morristown). But I knew nothing about their families before they came to Weeksville. All I knew was: Ruth Brock was born in 1892 — just a few doors down from the Weeksville AME church on Dean Street. I’ve since learned that Ruth’s mother Eveline Maud Ray-Brock was the daughter of Vincent and Mary E. Lamar (Lawrence? ), and Vincent was the son of Richard S. Ray, who was involved with the founding of the Morristown AME church. It was Richard S. Ray’s son, Vincent, who first left Morristown. By age 23, he was in Oyster Bay (When he was 20, he was living in Morristown, so he must’ve moved between age 20 and 23). I know this because he registered for the Civil War draft the year he turned 23, in 1863, in Oyster Bay, New York. By 1870, he’d married and settled in New York. After Vincent’s daughter Evaline Maud Ray married Edward Brock in Manhattan, the couple moved to the 25th ward of Brooklyn in about 1890. By 1900, they were in Weeksville with their newborn Ruth. 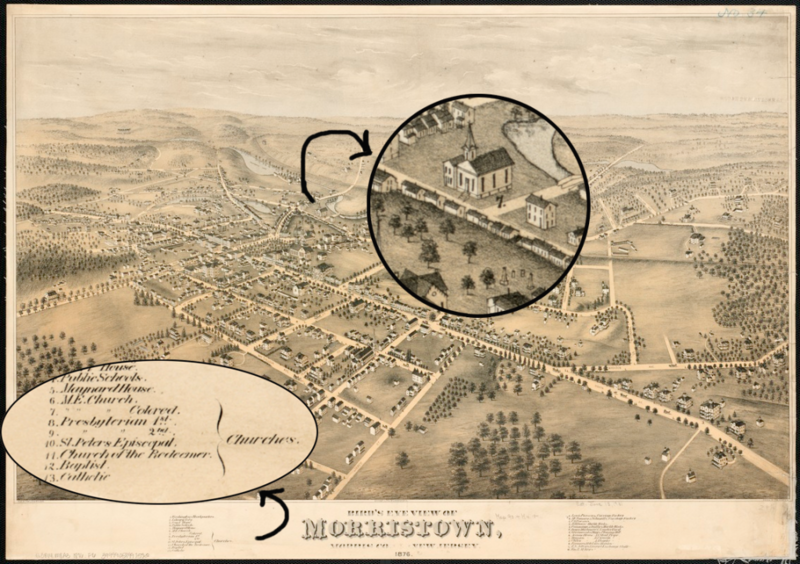 For more information on the family’s New Jersey roots, see this article about Morristown AME’s first pastor and this web page about the history of the congregation.